Start growing quicker than ever on YouTube. Your all in one website solution for YouTube video SEO and channel automation. 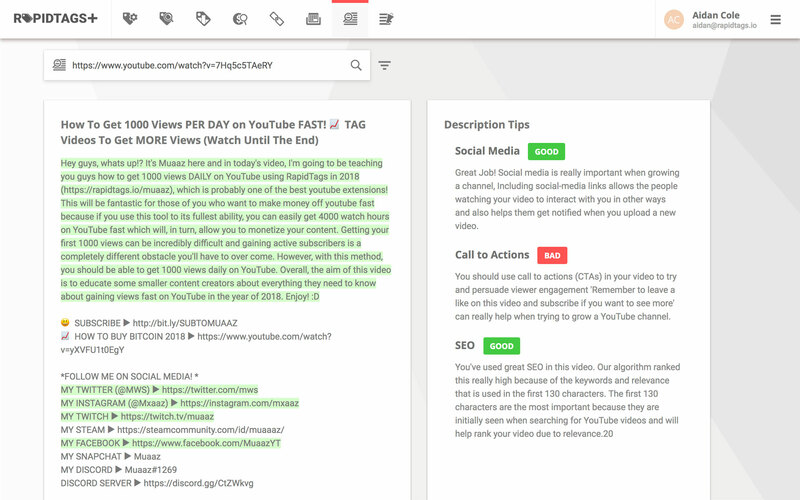 The Rapidtags YouTube tag generator is designed to quickly generate SEO effective tags for your YouTube videos. 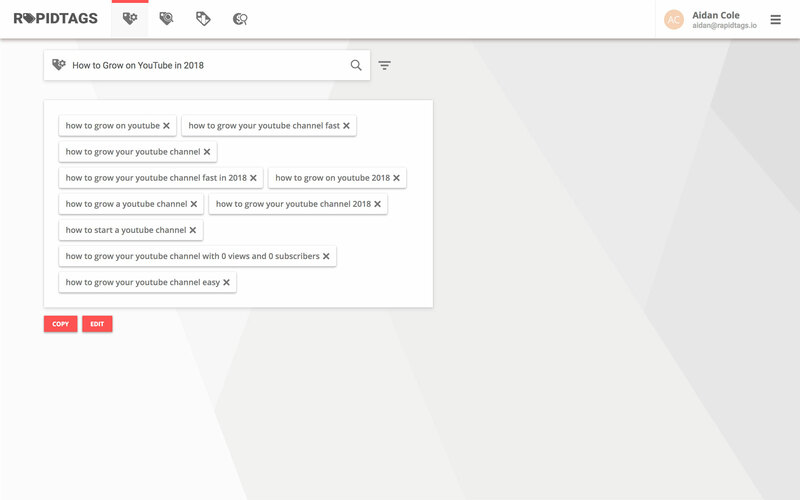 The Rapidtags YouTube tag analyzer is designed to help you simplify your YouTube keyword research and YouTube traffic tracking. 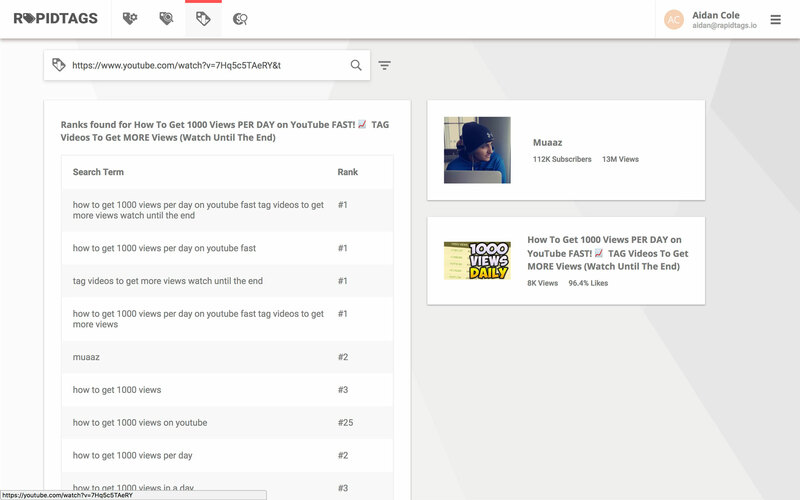 The Rapidtags YouTube search ranker helps you understand where you rank on YouTube and which keywords you rank for. 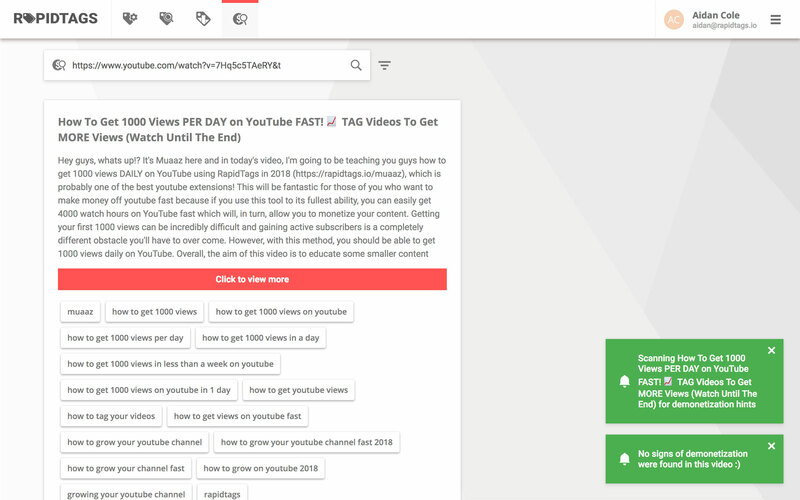 The Rapidtags YouTube remonetizer help you search your videos for keywords and phrases which commonly cause demonetization, helping to get your video monetized on YouTube. 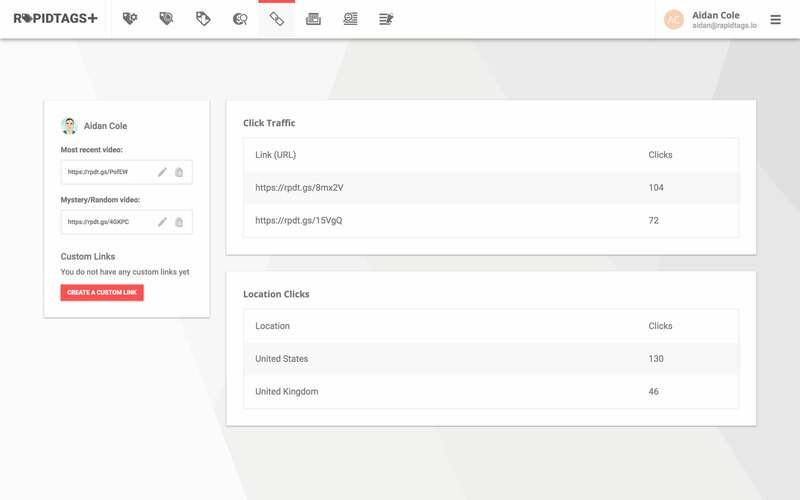 Automatically generated short links that are tracked, providing you with statistics showcasing how well the links performed. These work perfectly alongside the campaigns tool. 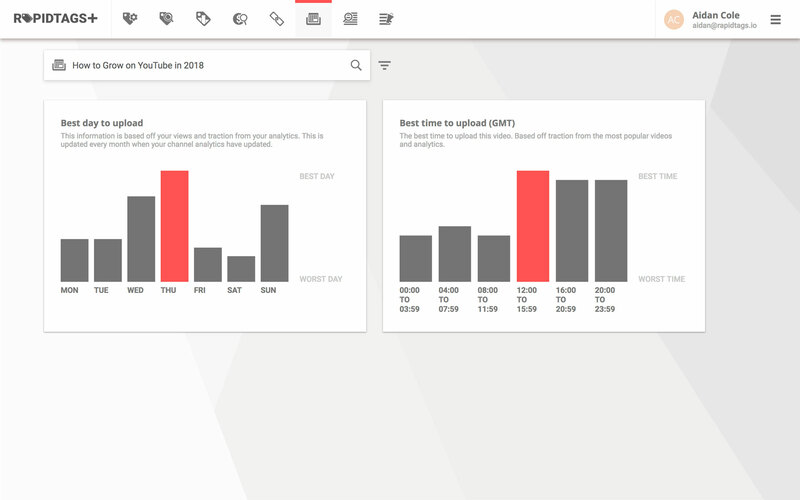 The Rapidtags Upload Scheduler provides information about the best time and day to upload your YouTube content. This is based on the title that you enter and your active audience. 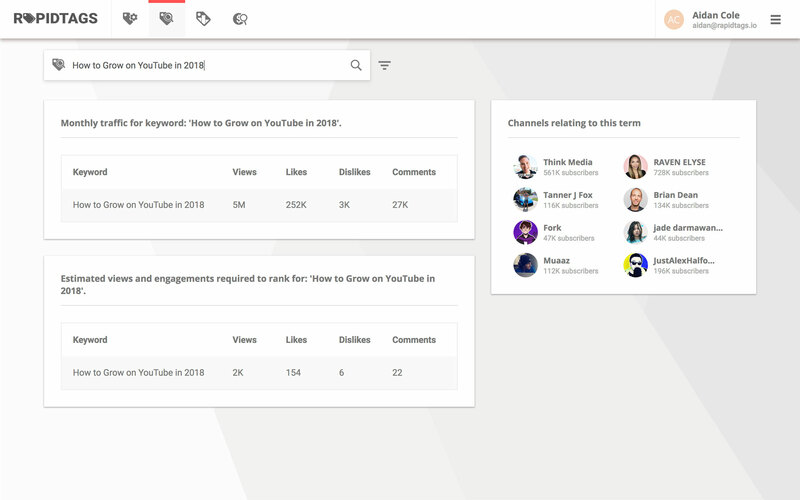 Easily view and analyze how SEO effective your YouTube video description is and receive advice on what you can do to improve it. 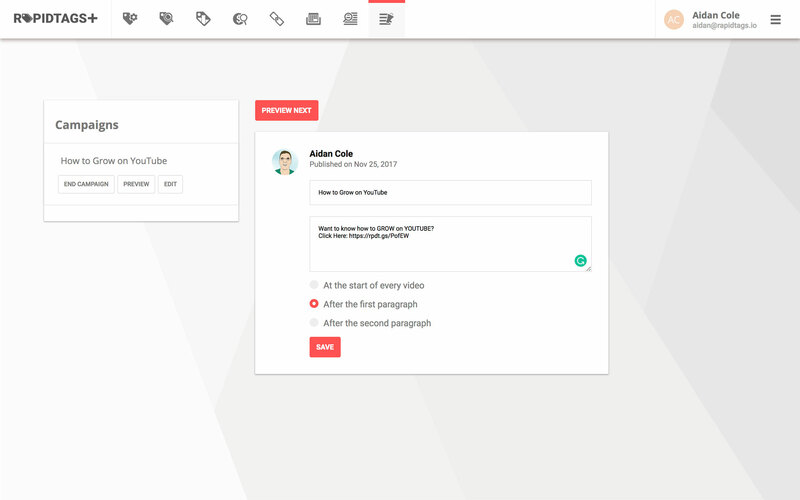 Bulk update 50 of your most recent YouTube video descriptions quickly and efficiently, providing you access to the prime real estate. This works perfectly alongside the Autolinker.